We Could Make That is all about the stories of indie food makers who've struck out on a noble cause: to make the world as tasty as humanly possible. 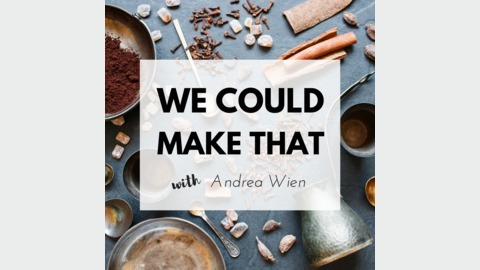 In each episode, Andrea Wien digs into their backgrounds, motivations and passions to decode why and how they started their businesses and the lessons we can each take back to our own kitchens and lives. “There’s a lot of romanticism in having your own business, and it’s really difficult. My boyfriend would never put himself through what I’ve been putting myself through.” - Lotta Andonian, founder of Eat Chic Chocolates, on entrepreneurship My guest on the show today is Lotta Andonian, the founder of Eat Chic Chocolates, a company reinventing and perfecting a classic American treat and my favorite candy: the peanut butter cup. Lotta built up a solid clientele in London that included some wholesale heavyweights, but eventually made the tough decision to re-launch her company stateside. She says it's been more fun to play with flavors in the US where peanut butter cups are second nature as opposed to the UK where she had to beg people to give them a try. (Sidebar: what is going on Europe?! Peanut butter cups are basically god's gift to humans. Get on board!) On this show, Lotta and I talk about the decision to move her company across the Atlantic, why pop-ups are a great way to test out a concept and the other differences she spotted in the US/UK markets. 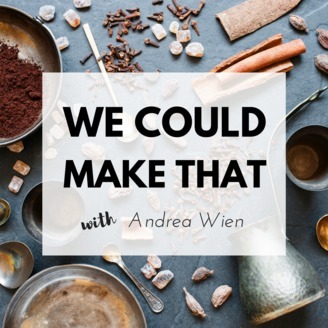 She also gives me a crash course on tempering chocolate, some advice for building a social media following fast and the resources that helped her get going. Lotta is also graciously offering 15% off any Eat Chic order! Head to wecouldmakethat.com/chocolate to peep the show notes and copy the code.